Digital media are increasingly interwoven into how we understand society and ourselves today. From lines of code to evolving forms of online conduct, they have become an ever-present layer of our age. The rethinking of education has now become the subject of intense global policy debates and academic research, paralleled by the invention and promotion of new learning identities, which are intended to incite teachers and students to think, feel, and act as social operators in schools and beyond. 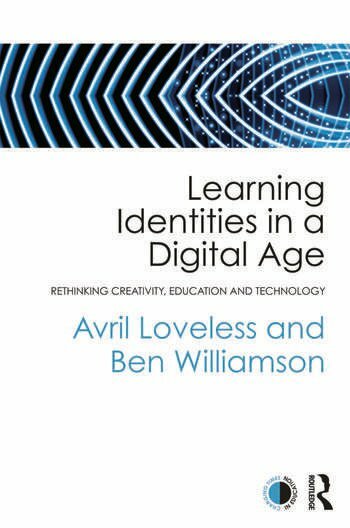 Learning Identities in a Digital Age provides a critical exploration of how education has been reimagined for the digital future. It argues that education is now the subject of a "cybernetic" mode of thought: a contemporary style of thinking about society and identity that is saturated with metaphors of networks, flexibility, interactivity, and connectedness. This book examines how shifts in thought have translated into fresh ideas about creative learning, interactive tools, curriculum reform, and teacher identity. The text identifies how learning identities have been promoted, and position young people as networked learners, equipped for political, economic and cultural participation in the digital age. -being a teacher in a digital age. This book situates education and technology in an intergenerational and interdisciplinary conversation. It will be of interest to students, researchers and practising education professionals who want to understand the wider sociological and psychological significance of new technologies on education and learner identity. Avril Loveless is Professor of Education and Head of Education Research at the University of Brighton, UK, with interests in creativity and pedagogy. Ben Williamson is Lecturer of Education at the University of Stirling, UK, with particular interests in childhood and new media, curriculum innovation, and science, technology and society.